Riding fresh powder is the pinnacle of skiing. Check out our 5 top tips for skiers new to powder. 5 top tips for skiing fresh powder! For basically the whole month of December the Three Valleys has been literally inundated with snow, and so what better time to talk about riding fresh powder! 1. Book an experienced guide. Jumping off the side of the piste to play in the soft stuff is great fun, and a good way to dip your toes into off-piste skiing. However, if you really want to make the most of the powder then having an experienced guide who can not only show you the best back-country areas for your level, but who can also offer you guidance on how to ski powder properly will be invaluable. We can organise these sessions for between 2-6 people per group once you have made your booking with us. 2. Trust us: take the fat skis (or board). We know that for those new to deep turns, powder skis and boards can look strange, intimidating, and surely a liability when you’re trying something new, no? No. They look and behave differently for good reason – they make transitioning to powder easier. Flat and reverse camber, wide shovels, early-rise tips, wide waists: these things all contribute to easier, smoother turns with the necessary float to make equal balance more natural. The equipment doesn’t presume you’ll ski or ride any differently. You just do what you do, and it’ll do what it does – which is make pow skiing as fun as it should be. 3. Don’t make it an off-the-couch activity. Although perfect pow skiing feels effortless when you’ve got the flow, being in good shape is key for first-timers. The adrenaline and nerves of a new environment will rev your system, the conditions may challenge your legs in new ways, and falling in the deep stuff, while soft, can be surprisingly tiring. Get down to your local gym for a couple of weeks before your ski trip to work on your cardiovascular fitness, together with core and lower body strength exercises. Also, make sure you’ve had plenty of days and vertical in whatever conditions are available to you before heading off-piste so that your body is primed and ready! 4. Remember the fundamentals (with a twist). Powder skiing is still skiing, and almost all the same basics for success apply: keep your upper body facing down the fall line, hands forward, pole plant, coil and uncoil through the turn, stand up tall over your feet. No need to lean into the back seat to keep those tips from diving (remember the fat skis? they got this.). In fact, the only thing that will be different is you’ll have to weight both your skis evenly, instead of pushing against only that downhill ski. This is what can take some time to master, but while you’re thinking equal weight, don’t forget the essentials – same same. 5. Bring your sense of humour with you. Perhaps most important of all. Attitude makes changes faster than aptitude – it’s a huge factor in aptitude itself. Your ability to relax, and have a laugh at yourself if necessary, will significantly improve how fast you adapt to the deep conditions, and hey, the whole point is to have fun! With all five of these things in your favour, deep powder will be skiing bliss you’ll master in no time. 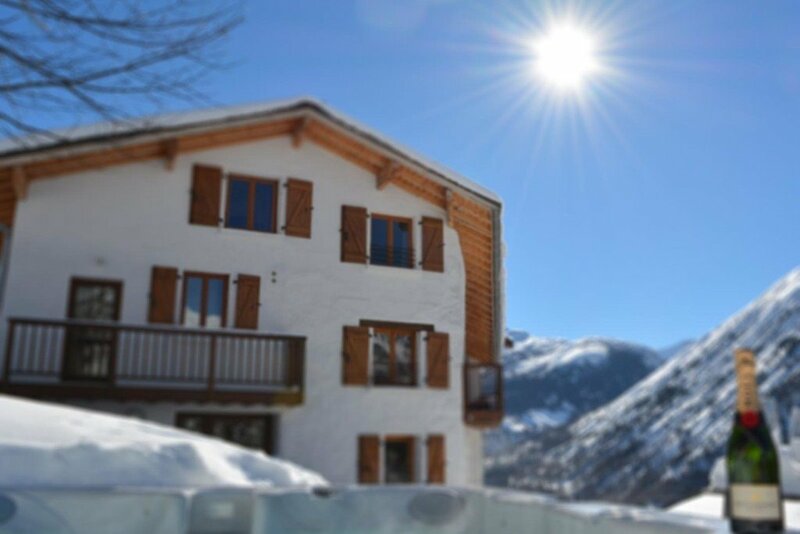 If you’d like to enjoy the huge amounts of fresh snow we’ve seen in the Three Valleys on quite piste and off-piste conditions then GET IN TOUCH to book your January Ski Trip! 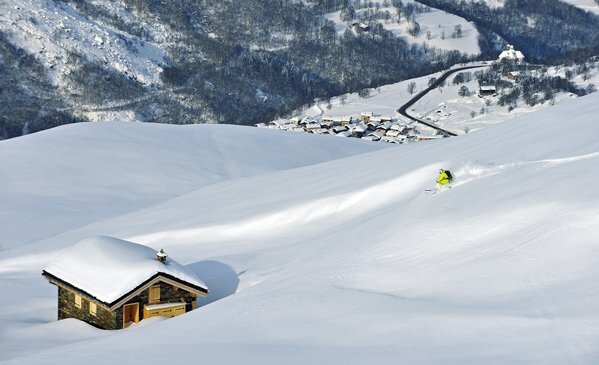 5 top tips for skiing fresh powder this season in the mega Three Valleys ski domain, France.